Matthew McConaughey has been around for more than 20 years, gracing our screens with his chiseled features and lovely Texan twang. But only recently has he really been given the roles and recognition he deserves. 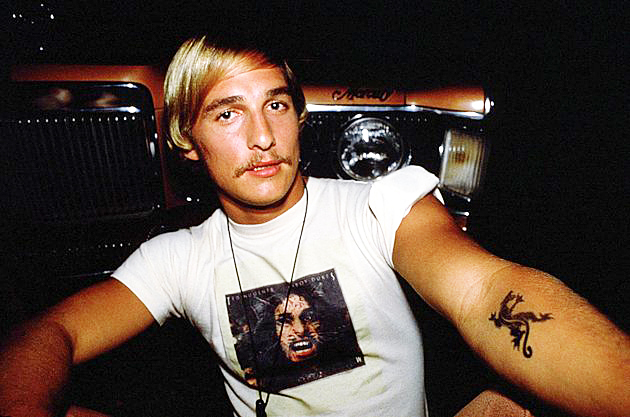 I’m not ashamed to admit that I’ve been a long time lover of this talented Texan, from Dazed and Confused, to EDtv, The Wedding Planner and How to Lose a Guy in 10 Days, and now his more recent critically acclaimed performances in films such as Mud, Magic Mike, The Wolf of Wall Street, and Dallas Buyers Club. This really does seem to be McConaughey’s time to shine. He is currently appearing on HBO’s latest anthology series, True Detective, alongside Woody Harrelson. Later this year he will also appear in his first science fiction film since Contact, Christopher Nolan’s latest endeavor, Interstellar. Yup, this man is seriously gaining street cred – not only from the industry critics but from the very vocal geek mainstream. I heartily encourage people to revel in this McConaughey renaissance. Go back and explore his back-catalogue and learn a few things about what makes a good, long career in Hollywood with the three McConaughey M’s (coined by me entirely, no official affiliation with the man himself): Masculine doesn’t mean un-feminine; Multiply your talents; and Market yourself. McConaughey really hit the big time as a leading man in romantic comedies opposite the likes of Jennifer Lopez, Kate Hudson, and Sarah Jessica Parker. They were not brilliant films – like, at all – but you know what? They were fun. And I admit to owning at least one of them on DVD. But I have noticed a tendency to dismiss actors that star in romantic comedies. As though somehow they aren’t capable of anything deeper or more interesting. Well, I think that is unfair. There are plenty of brilliant actors that have leant their talents to the noble art of the romantic comedy (yes, that’s right – I said noble art – gotta give the girls something to watch during their sleepovers). In a recent interview on the Graham Norton show, McConaughey admitted that he’d consider doing romcoms again, ‘I’d do another romcom maybe. There is a lightness to those which is fun and I enjoy the buoyancy.’ You may think that you’re above the romcom genre, but don’t kid yourself. They can be fun – they don’t have to be vapid. Actors who find success in Hollywood do not necessarily have an easy time of it (although everything is relative, I suppose). It is difficult not to get typecast. Everyone remember that crazy ol’ fella who goes by the name of Jack Nicholson? Well, back in the day he too was known for romantic comedy type roles. And he tried very hard to break that mold – what do you remember him for now? I’m going to go out on a limb and suggest that you think he is a very talented, serious actor – especially good at ‘character acting’. McConaughey, while being known mostly in the 2000’s as a kind of ‘fluffy’ actor, has done well to pick varied roles in a wide variety of genres. He’s done drugged-up comedy, romcom, science fiction, legal drama, historical drama, action, war/submarine, black comedy, and more. The man’s a chameleon. And that’s what we want to see more of. How can you really be a fan of one particular actor (or writer, painter, singer, etc) if they always do the same thing over and over? 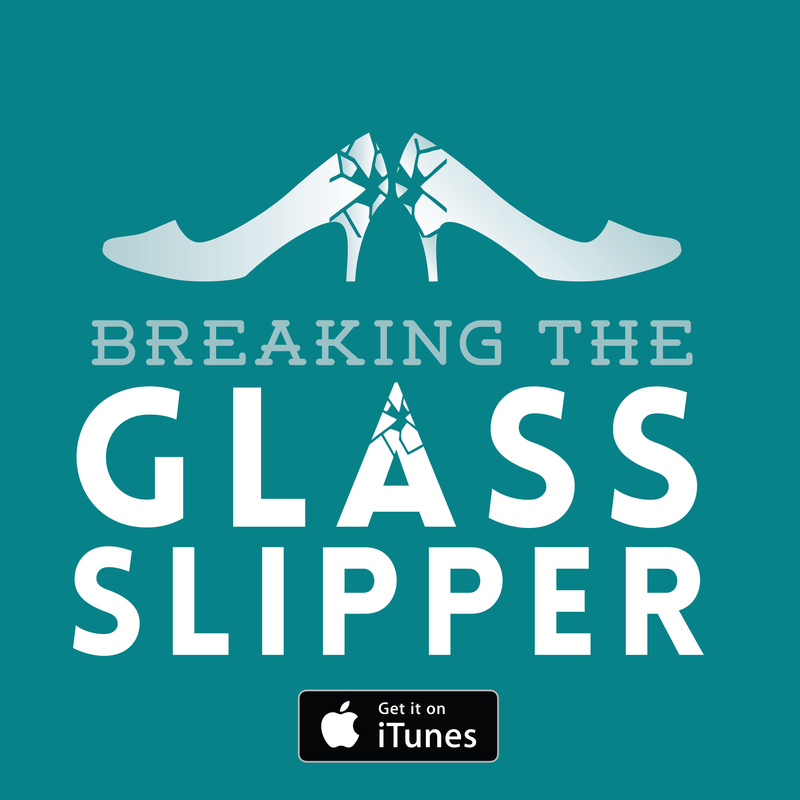 Growth, change, personal development – these are important aspects of story, just as they are for a career. I would like to see McConaughey do some kind of Western Fantasy next – that seems like a fun combo that he hasn’t done before – has anyone?! I listen to a lot of radio, watch a lot of TV and Youtube, and I’m always seeing stars looking bored and put out when they have to do endless promotional interviews and appearances. Meanwhile, McConaughey was not too self-important to take promotion for his film Sahara to a new level. And you know what? He really did seem to enjoy it. McConaughey had his trailer painted in a giant Sahara poster and drove across America in it. The man had all kinds of adventures across the country and used it as a fun way to get promotion for his film. Dazed and Confused (1993): Richard Linklater, a coming of age comedy, and Rory Cochrane (who is totally underrated). Oh, lots of Zepplin and drugs too. A must-watch. Contact (1997): Great, classic sci-fi with Jodie Foster and James Woods. Just ignore the rubbish fake Aussie accent towards the end. Awful. EDtv (1999): This box-office dud is sadly underrated, in my opinion. It is fun and outrageously silly. It is also nice to see Ellen DeGeneres doing some acting and not just sitting on her talk show chair. How to Lose a Guy in 10 Days (2003): Say what you will about romcoms but this one is a great example of what is fun and silly about the genre. It is ridiculous, overblown, and predictable. But it also doesn’t pretend to be anything else. Grab some popcorn and your best buddies and have a fun night in. Mud (2012): Universally acclaimed, this film is a very different coming of age story to Dazed and Confused. Just watch it. Magic Mike (2012): This is one of those infuriating films that can’t decide whether it is a comedy or a drama. But McConaughey is brilliant (and sings!) and it’s a lot of fun. Plus, nearly naked Channing Tatum doesn’t hurt. The Wolf of Wall Street (2013): Even though McConaughey is only in the film for a short time, he steals the show. 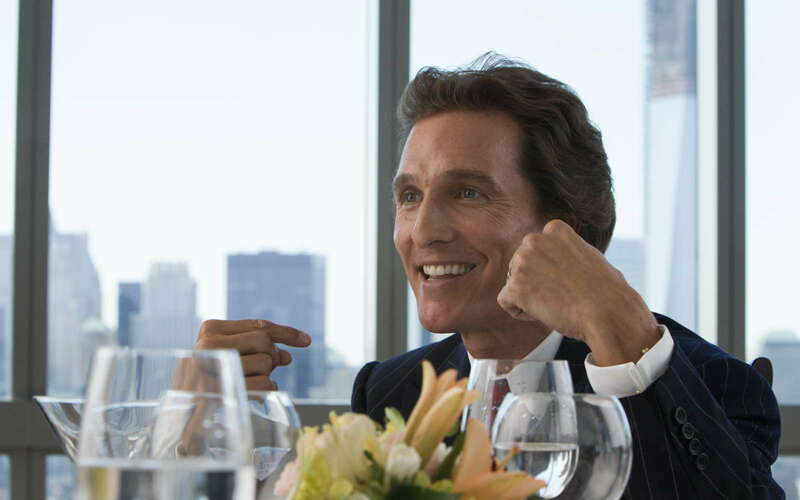 Forget DiCaprio as the star, it is McConaughey all the way. Read the full review here. 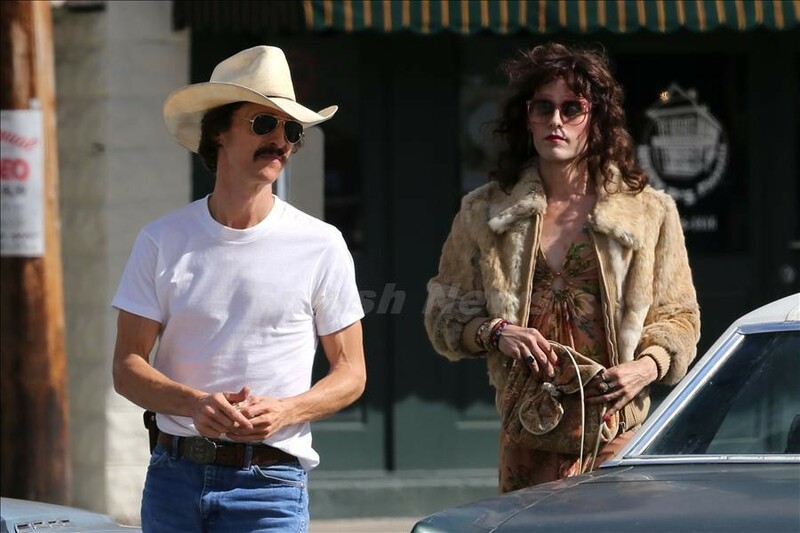 Dallas Buyers Club has been out in the US since October last year but doesn’t get released here until the 7th of Feb. I am really looking forward to this film. McConaughey and Jared Leto both had to lose a lot of weight for their roles which has become the central focus of much of the attention on the film. But what I like about this story is that while it is very much a story of ‘victims’ of AIDS, it is not a passive story. Woodroof took charge of his illness and tried to help hundreds of others suffering with AIDS as well. The film has received almost universal praise and has already won both McConaughey and Leto Golden Globes and Screen Actors Guild Awards.